The Texas State Assembly has moved a landmark voter fraud bill out of committee, and seems likely to head to the floor during the state’s special legislative session. HB184 has 81 Republican co-sponsors, and its companion (SB5) seems certain to make it to the floor as well. 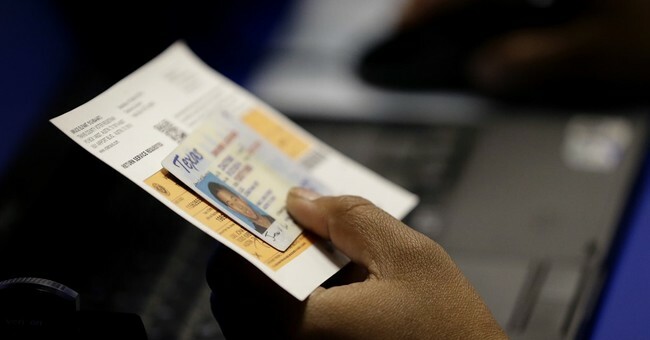 The bills carry severe penalties for voter fraud, and is the direct result of a voter fraud investigation launched by the state AG’s office in recent months. The investigation was launched after the AG’s office was presented with overwhelming evidence gathered by Direct Action Texas, regarding vote harvesting in numerous Texas counties going back several cycles. Since launching the largest voter fraud investigation in Texas history late last year, the Texas Attorney General has now been joined by the Dallas County District Attorney, as the investigation into alleged vote harvesting expands. The first indictment in Dallas County was handed down in July. The current laws regarding vote harvesting are relatively lax, only resulting in possible misdemeanor charges and fines. However, as investigations have multiplied across Texas, Gov. Abbott took on the issue in his call for a special legislative session. The bills close all loopholes and specify virtually every form of ballot harvesting and misrepresentation used in mail-in ballot fraud. The fraud being investigated surrounds the Application for a Ballot By Mail (ABBM) in Texas. Once a county receives the ABBM, a ballot is mailed to that voter. The voter fills it out, places it in a security envelope, and then placed in a yellow carrier envelope. Importantly, the voter then signs the yellow carrier envelope. When the county receives the ballot, a ballot board member is supposed to compare the signature on the yellow carrier envelope to the signature on the ABBM, to make sure they match. Once approved, the ballot is removed from the envelope and the vote is cast. Direct Action Texas, a political organization that formed to ensure voter integrity, discovered the handwriting on hundreds of ABBMs were exactly the same – meaning that one person filled out hundreds of ABBMs. The ballots were sent to the voter’s home address. DAT alleges that the perpetrators knew that, in Tarrant County, ABBMs were received in the voting department on Wednesdays, processed and mailed on Thursdays, and arrived in voters’ mailboxes on Friday or Saturday. Teams were sent out to steal the ballots out of the mailboxes. The perpetrators would then allegedly use an elderly woman, or one of appropriate ethnicity, to visit a targeted voter. The harvester would claim that it was time for early voting, and “help” the voter fill out their ballot, yet instead would enter the names of the candidate who wanted the election stolen. Then the voter would be asked to sign the yellow carrier envelope. In other cases, to obtain a signature to order the ABBM, the perpetrator would pretend to be collecting signatures for a cause like “protecting the right of Blacks and Hispanics to vote”. The voter would agree to sign that petition, and would be handed an iPad for their signature. That signature would then be lifted and added to an ABBM. Direct Action Texas investigated ABBMs following numerous election results that didn’t track with polling and where numbers did not add up. In the election for Texas House District 8, 28,617 votes were cast, and the election was decided by a mere 225 votes. The district covers four counties. In Hill County, however, a breakdown of the results yielded extremely troubling information. DAT tells me that the official results showed 9,038 votes were counted in Hill County in this race…yet, only 7,171 voters existed in the election file. Then, after counting the number of voters who signed in at their polling place and absentee ballots, Direct Action Texas found the number came to 7,295. Beyond this, DAT has recorded nine different published election results in Hill County. The new bills outlaw all of these mechanisms. It introduces accountability for voting clerks; specifies how the mail can and cannot be used; and targets specific behaviors such as providing false information on an ABBM, putting false information on a ballot, and submitting an ABBM without the voter’s knowledge. All of these now carry state prison felony sentences of two years, and even longer if a duped voter is over age 65. Anyone found carrying a ballot without a voter’s authorization could be hit with a felony sentence of up to 10 years. The bill is a landmark piece of legislation that should be duplicated all over the United States. If DAT is right, and if the AG indicts numerous individuals, it will mean dozens of elections at all levels, going back years, were stolen. If it can happen in Texas, it can happen anywhere.